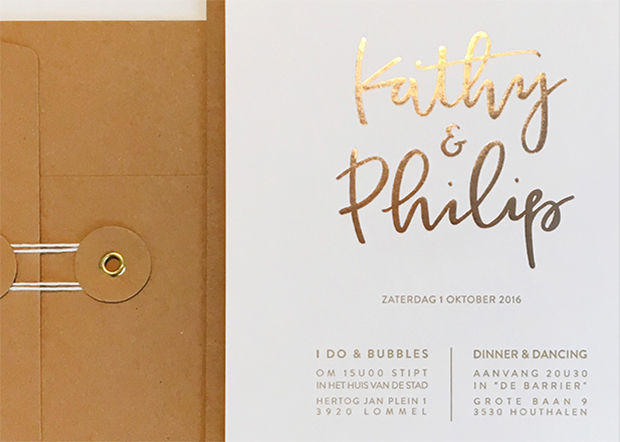 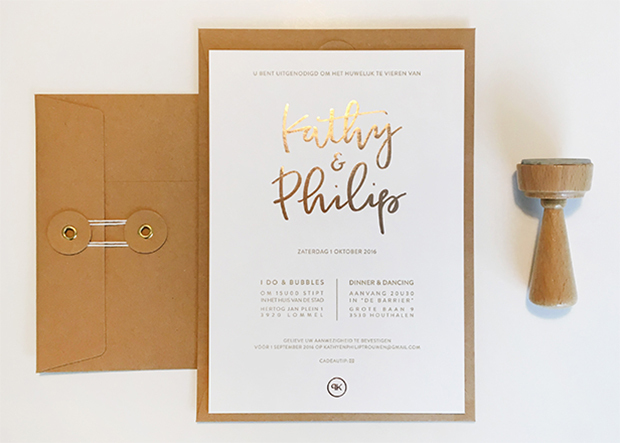 Kathy and Philip wanted a modern wedding invitation with the romantic touch of calligraphy. 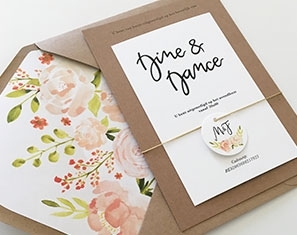 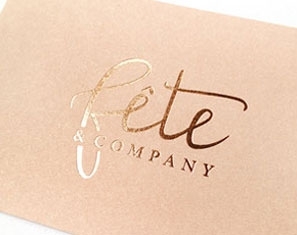 The wedding invitations are letterpress with copperfoil on the hand lettered names and monogram. 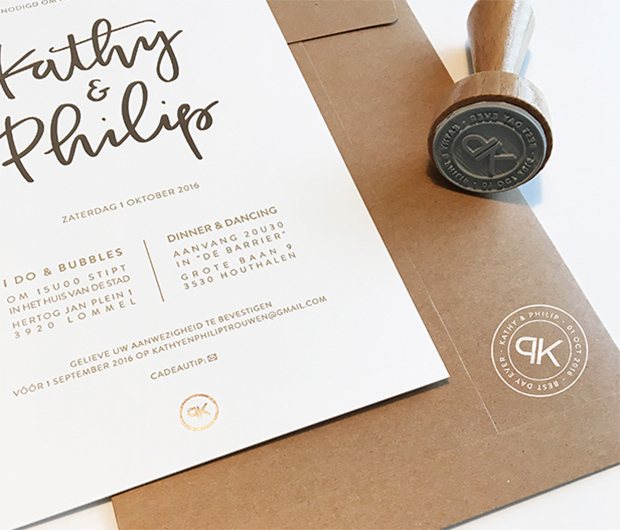 The personalised monogram is also used on the custom stamp. 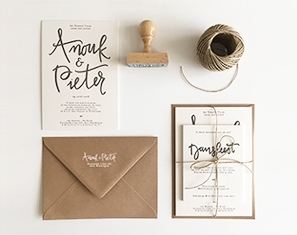 This stamp is used on the kraft envelopes with rope closure.